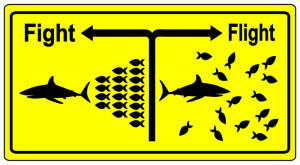 Cortisol is a hormone that helps manage some basic bodily functions, but also triggers our “fight-or-flight” response. 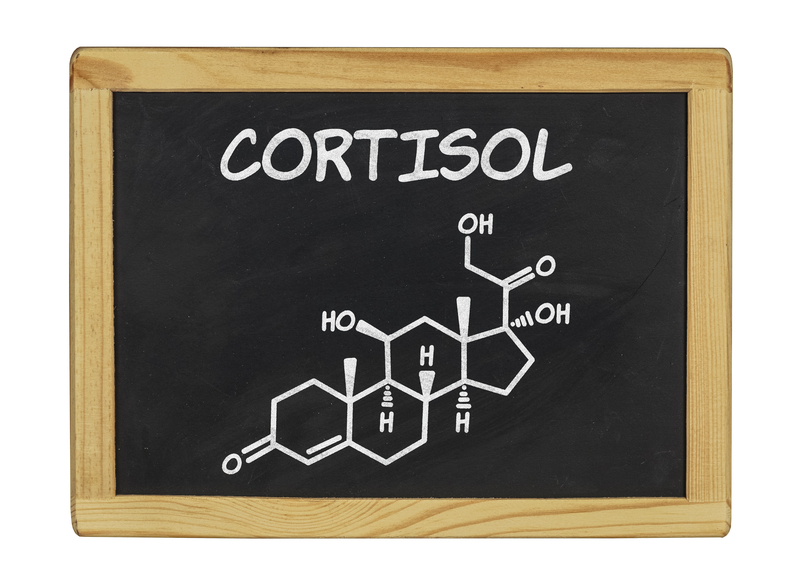 What is cortisol? It's an important chemical that manages blood sugar (glucose),reduces inflammation, and controls blood pressure, among other options. Cortisol is often referred to as the “stress hormone,” because it becomes more abundant when we are faced with a stressful situation. It affects the heart rate, breathing patterns, and other aspects of the body’s “fight or flight” response. But just what is cortisol? And what does it do? Probably more than you realize. Right above each kidney is a small but important gland known as an adrenal gland. The adrenal glands produce some important hormones, including adrenaline and cortisol. Most cells in your body have cortisol receptors, meaning the cells absorb and use cortisol. But cortisol is used differently in different parts of the body. The rhythm of cortisol production by the adrenal glands is also a factor in your sleep routine. Too much cortisol in the bloodstream at night makes it harder to fall asleep. Low levels of the hormone in the morning can make it tough to get out of bed. In fact, having a healthy variation of cortisol levels throughout the day is associated with better health. Dr. Adam and her colleagues published a study in 2017 that found higher risks of inflammation and immune system problems in people who had little variation throughout the day in their cortisol levels. Conditions such as fatigue, depression, and even cancer were more likely among people whose cortisol cycles were abnormal. Getting regular exercise each day and establishing a consistent bedtime and wake-up time are some easy ways you can start to establish healthy cortisol production. In addition to helping manage some of your body’s basic functions, cortisol is linked to your stress response as well. So what is cortisol doing when you encounter a stressful situation? One of the chief functions of cortisol is to prepare the body during stressful situations—a “fight or flight” moment. When you feel threatened, the adrenal glands start pumping out cortisol, causing your muscles to tense and your breathing and heart rates to increase. All of this happens faster than your brain can fully comprehend a situation, allowing you to, for example, jump out of the way of an oncoming car. If you need to flee a life-threatening situation, rising levels of cortisol (and other hormones, such as epinephrine, also known as adrenaline) in your bloodstream will help you escape. If you need to stay and fight off a threat, your body’s response to the flood of hormones will help give you strength and energy for the conflict. Unfortunately, the stress response and a boost in cortisol levels can occur in a traffic jam and many other stressful, but certainly not life-threatening situations. Chronic stress, experienced by people living in uncomfortable surroundings, working in jobs they don’t like, or staying in unhealthy relationships, for example, can experience additional negative consequences caused by constantly elevated levels of cortisol. For example, a University of Texas study found that cortisol tends to block the effects of the hormone testosterone. “It makes good adaptive sense that testosterone’s behavioral influence during an emergency situation gets blocked because engaging in behaviors that are encouraged by testosterone, such as mating, competition and aggression, during an imminent survival situation could be fatal,” says Robert Josephs, PhD, a professor of psychology at the University of Texas. Unfortunately, chronic stress and the impact of cortisol on testosterone can have long-term effects on a man’s ability to reproduce. Women dealing with chronic stress and elevated cortisol levels also can face reproductive challenges, as cortisol can interfere with normal menstrual cycles and fertility. It’s also possible to have too little cortisol. Each condition can be problematic. A condition such as Addison’s disease causes a shortage of circulating cortisol. Too little cortisol can lead to muscle weakness, fatigue, nausea, and pain in the abdomen. Low cortisol levels are also associated with behavior issues. A University of Chicago study of pre-adolescent boys found that low levels of cortisol in saliva may affect how they respond to stressful situations and even how they perceive the consequences of acting out as a response to stress. You can be prescribed corticosteroids if you have low cortisol levels. And if you are chronically stressed, therapy and relaxation training (yoga or meditation, for example) may help bring down cortisol levels in your blood. Poorly controlled cortisol levels are associated with mental health disorders, including anxiety and depression, though the significance of this relationship is still not clearly understood. If you have questions about whether your cortisol levels are in a healthy range, or if you need help coping with stress, talk with your doctor. Cortisol can be screened with a blood test and a saliva test. There are even patches with sensors that can measure the cortisol in sweat. Cortisol is a helpful hormone for a lot of reasons, but making sure you’re producing the right levels at the right times is important for your physical and mental health. addison s disease, adrenaline, anxiety, anxiety and depression, blood pressure, blood pressure control, blood sugar, brain, cancer, children, chronic stress, coping with stress, corticosteroids, cortisol, cortisol symptoms, depression, elevated cortisol, exercise, fertility, fight or flight response, glucose, glucose levels, health, high cortisol, high cortisol symptoms, hormone, immune system, inflammation, low cortisol levels, meditation, memory, mental health, metabolism, muscle, pain, reduce inflammation, relaxation training, saliva test, sleep, sleep routine, strength, stress, stressful situations, sugar, testosterone, too much cortisol, what is cortisol. Stress really is the silent killer. I recommend meditation, prayer, family support, and educating yourself more about it so you have more incentive to quit stressing out so much. Seriously, meditation, it works. Try “Headspace” app on iPhone, maybe android too not sure. I love it. It is NOT normal not to sleep for 3 nights. I advise you really investigate this problem. Proper sleeping is absolutely necessary for your body to properly run. It sneakingly is involved in so many regulatory body functions that it is scary. Insomnia can be caused by many things: narcotics (long time), non- scheduled sleep, , fibromyalgia, neurological conditions. Stress usually brings them to life. Try binaural beats on you tube for sleep. Try different tracts. Set specific times to sleep. Fast sleep and allow yourself to sleep 1 hour per day, then 2 hours, then 3 hours. Expand the bulk time until you get 6-8 hours to sleep. It will help to reset you. Muscle twitching could be an electrolyte imbalance or dehydration. Try bananas for it with exercise and calcium /magnesium without exercise. 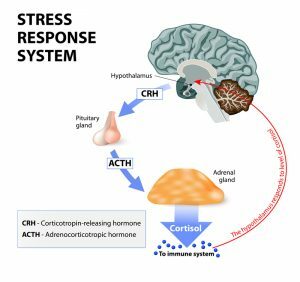 I thought you might be interested in this article on https://universityhealthnews.com: What Is Cortisol and What Does It Have to Do with Stress?